What is a Digital Certificate and How to Get it? Digital Certificates are required in e-filing of Income Tax and e-tendering etc. Learn answers of FAQs on what is a digital certificate and how to get it in India. Nowadays, as more and more procedures in India are involving possession of Digital Certificate, people in India often feel confused as to what exactly this new sort of “signature” is! They wonder about how to get a digital certificate in India. So, this morning I decided to sit down for an hour and write this tell-all tale of Digital Certificate. Well, just like your signature is a unique entity that identifies you, a digital signature is nothing but a measure to uniquely identify a person, organization or computer etc. Name of the Holder: Name of the person or organization to whom the certificate belongs. Serial Number: A number that uniquely identifies your Digital Certificate. Valid from date: The date when Digital Certificate was issued. Public Key: This is YOUR actual signature. Encryption Algorithm: The algo that was used to create the Digital certificate. Now I can imagine you saying, “Give me a break! I am confused! Tell me in plain English” … Alright! the above given information was necessary to set the background. Now, let me try to explain all this in simpler terms. What is a Certifying Authority (CA)? A Certifying Authority is an organization that has the power to issue, revoke and renew Digital Certificates to others. There are numerous such organizations all over the world. So, in India, only these organizations can issue Digital Signature Certificates. Who Authorizes or Appoints CAs? Controller of Certifying Authorities (CCA) is a Government of India agency that has the power to appoint and remove CAs. CCA holds the Root Certificate in India. Root Certificate is the highest digital certificate that is used to sign all other certificates in the hierarchy. With Root Certificate, CCA signs Digital Certificates of all the CAs that it appoints. Then CAs sign your Digital Certificate with their own certificate. Do I Need to Go to the CAs to Get Digital Certificate? Not necessarily. Above mentioned CAs have authorized many other companies to issue Digital Certificates on their behalf. Following is the list of some of the companies. You can go to their website to get your Digital Certificate. This list is incomplete. If you know more companies that issue Digital Certificates, please let me know. How does a Digital Certificate Look Like? A Digital Certificate is not a paper certificate. It is a computer file which can be downloaded, uploaded, copied, deleted or emailed just like any other computer file. The certificate issuing company usually gives you two options for getting your Digital Certificate. One, they can email the certificate as attachment. Then you can download this attachment. Two, they can give the certificate in a pen-drive. What are the Various Classes of Digital Certificates? 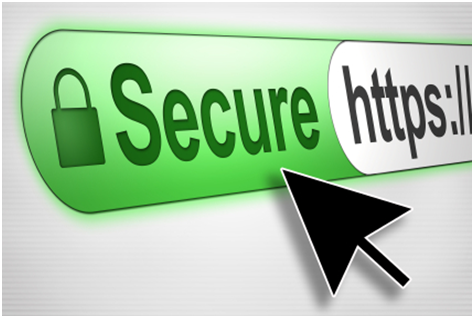 Digital Certificates are used for various purposes. Depending upon these purposes, certificates have been classified into three classes, namely, Class 1, 2 and 3. These three classes have been further divided into seven sub-classes. You should get certificate of the class that serves your purpose. Let’s see which class serves which purpose. For What Period Digital Certificates are Issued? Digital Signature Certificates are valid either for one year or two year. You can choose which duration you want. Two year duration is more expensive than one year duration. After the validity period is over, you would need to renew certificate, if you need it any further. How Much Does it Cost to Get a Digital Certificate? Can They Refuse to Give Me a Digital Certificate? Yes, they can! If you give incomplete or wrong information in your application form –the issuing company may refuse to issue you a certificate. Do All Venders Use the Class Model? No. Every vender all over the world uses their own classification of certificates. For example, Verisign, a Certifying Authority in USA, uses five class model. They have classified all the certificates they issue in five classes. In India, however, three classes are used. Which Class of Digital Certificates is Appropriate for Tax Purpose? Class 2 certificate is commonly used for electronically filing (e-filing) tax returns in India. Chartered Accountants who file return on your behalf can apply for and get DSC for you. Which Theme does Labnol (Digital Inspiration) Use? Can a Trustee Take Salary from Trust Fund? Last updated: 23 September 2017 | Published on: 24 December 2013 | Authored and Edited by: Lalit Kumar and Team | Filed as: Home » Career and Personal Development » What is a Digital Certificate and How to Get it? Thank you for this useful information. Being an ICT teacher, I am very interested in new and current technology updates and information.